This is what allows the possibility of clairvoyance, and Dunne believed that in dreams the human consciousness escaped from its sequential linearity, so that distorted elements of the future might be discerned. Priestley had been interested in Dunne’s ideas for several years before he wrote An Inspector Calls, so a connection between the latter’s theories and the Inspector’s supposed clairvoyance cannot be ruled out. There can be no question, however, of equating the two: An Experiment with Time only suggests that vague, imprecise and essentially random future events can sometimes be foreseen; by contrast, the Inspector claims to have read the personal diary of a dead woman before her death has taken place. This goes far beyond what is normally understood by ‘clairvoyance’ and indeed seems closer to actual – or astral – time-travel. The fact that neither Dunne nor anyone else has seriously suggested that such things are possible does not of course preclude Priestley’s use of them in a play. His main character could be a fictional clairvoyant, or even a time-traveller of some kind. Such ideas may seem inherently unlikely, but various ‘clairvoyant’ (‘clear-seeing’) theories are often presented as uncovering the ‘true identity’ of Inspector Goole: it is sometimes said that he is an avatar of Priestley himself, or that he is some sort of ghoul or demon haunting the Birlings with Eva’s death; equally, he might, conceivably, stand for Marx or Lenin or another similarly authoritative ‘prophet’ of the left. All of these ideas have some potential validity, but they are restrictive and reductive, and they ignore the obvious fact that Priestley presents his character very much as a police inspector, though a police inspector of a particular kind. It must be conceded from the start – and indeed the characters of the play point this out constantly – that Inspector Goole never acts like a real police inspector. 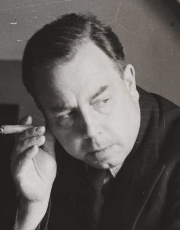 Instead, Priestley presents his audience with an obvious and familiar literary type: the detective of the classic ‘murder mystery’ or ‘whodunit’. An Inspector Calls (the very name of the play is vaguely reminiscent of an Agatha Christie title) begins with a dead body and introduces a detective who questions a group of well-to-do folk gathered in a suburban house to determine which of them is the ‘murderer’ (the answer being that they all are, to varying degrees). One possible reading of the play is to see the Inspector as a literary construction foisted upon a dining room of bourgeois stereotypes. It is one of the conventions of the murder mystery that the detective in the story has an almost supernatural ability to make connections and encourage confessions from those he or she interviews: indeed the genius of a Holmes, Poirot or Marple sometimes seems to verge on prescience. By providing this context, Priestley creates an important frame of reference for his audience, allowing him to suggest that Inspector Goole has a mysterious degree of foresight and an almost preternatural ‘aura’ about him. However, this does nothing at all to prepare theatregoers for the ending of the play, which breaks down every possible preconceived idea of who the Inspector might be, or what he might represent.